... and so ends our week of completing the blues scale for all sharps and flats. Yes, the G-flat blues scale would sound fantastic over a G-flat progression, like G-flat major. 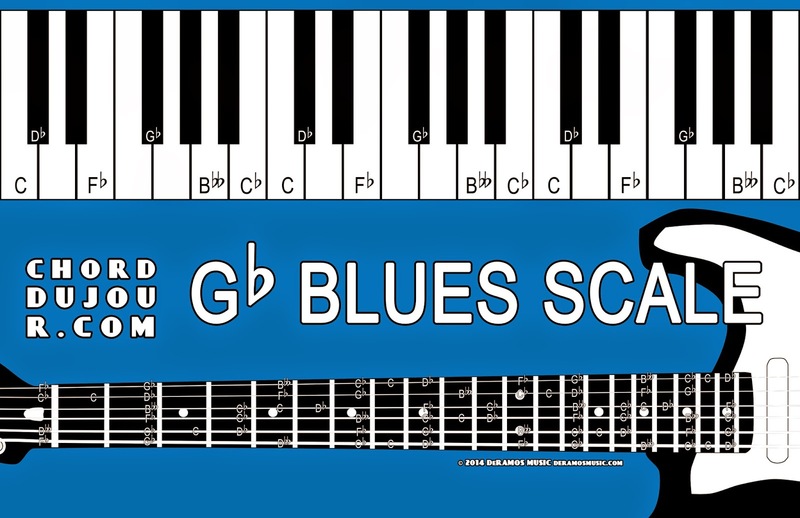 However, the F-sharp blues scale contains less complicated note names.